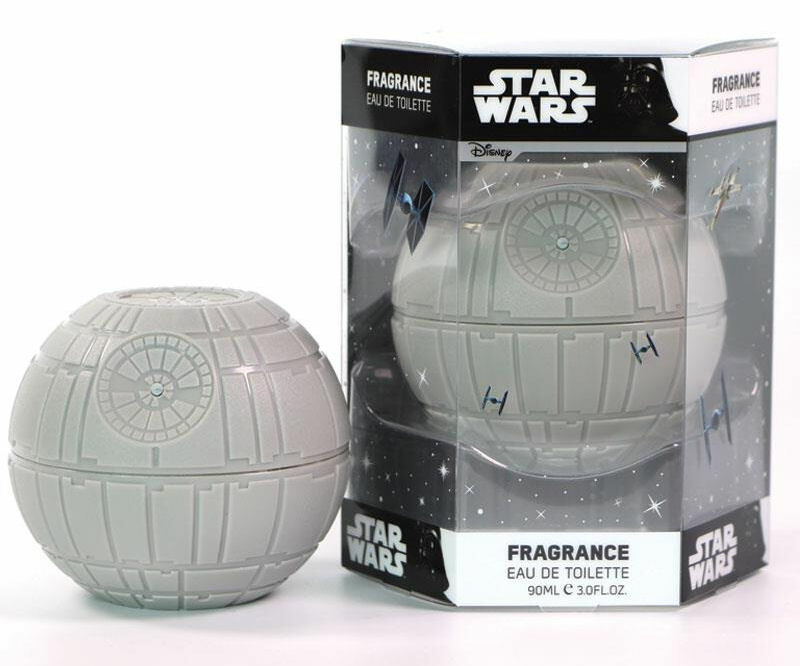 Joining the long list of classy odours that Lucasfilm has licensed over the years is the Death Star eau de toilette spray. Priced AU$29.99 and only available from Chemist Warehouse, this Australian exclusive "smells fantastic and has been carefully formulated for the Star Wars fan!" With a blend of marine accord, lemon, baby leaf, satsuma mandarin, mineral accord, ambergris, gulac wood, oakmoss and patchouli it's sure to cover up the incredible smell of your trash compactor or mask the lingering niff of Sith. Feel free to come up with your own gags - I'm working on something to do with "odouraan" right now.